even though I've played computer since I was a kid. for a while and found out about gt legends, gtr 2, rfactor, ( and some other games alike ). my own. I also enjoy and have owned a few classic cars. What I want to ask is help regarding what do I need to create the mods. worked with music/audio and image in the past quite a few times. what steps to take in creating the mod, how to create the audio file. are present at the photo archive of touringcarracing.net . ( year 1975 , silverstone event ). But I haven´t decided yet. If you have a look around NoGrips site you will find a lot of information and downloads foe tutors etc. Good luck with your forthcoming projects but remember these may take weeks , months and in some cases years to complete. But it's great to be able to do even the skins for cars!!! A little crash course for GT Legends. - some .svm-Files not important now. - the .hdc-file. The main Performance File. Very complex. Dont know enough about it. - the .eng-file. The Engine File. All about the Engine of the Car. The Program TOMS ENGINE SHOP will help you to manipulate it. -the .grb-File All about the Gearbox. -the .sp-File. Dont now much about it. But i think its the file that handles the Car and its Parts in the physical reality. - the .aud-File. Simply the Audio File. If you open the obj.gtl file you will get some error messages. Click them away. There will be more Error Messages now but they doesnt matter. Mor important is, that you cant export any File from the Package. Now you must import a texture file. I think it is important, that the imported grafic file has a number at the beginning so it can get at the top of the file List in the .gtl Package. 3DSimed for textures and materials. Hello again. Thanks for the kind replies. Very useful. 3dsimed, and zmodeler, and a few other small tools. what parameters from the real car are needed. to share some info about that, that´d be great. First of all: Congrats for choosing a enjoyful hobby! Then you already got a few good pointers. My recommendation would be not to start with 3rd party models and try to get them into the game, but instead use some of the original material that came with the game. Play a bit around how unpacking and packing works, get 3d files into your programms, make small changes, get them back into the game, learn about the file structure, the syntax of the files. So far nothing for release, just a bit of playing around, getting a feeling and learning. Then the next steps, bit larger, bit more adventurous. If you feel safer about how that stuff works, you might want to have a look at some complete scratch or new content. Concerning physics, opinions differ there. Playing around is fun, if you know what you're doing, it sure helps if one has some basic knowledge about real life physics, knows a thing about automotive engineering and vehicle dynamics and knows some maths. Its not all that hard if you are familiar with that stuff and the physics files, but its a bit of a mountain to climb, nontheless. Don't start to with something to ambitious, you'll get lost in the process and most likely give up! Else, have fun! You have chosen a great hobby. Evollutiom-modding and http://trackaholics.nstars.org are the ultimate stronghold of GTL / GTR2, the best and most complete sims ever made. My suggestion is to start a project, a car to start, it may be the car you use day in and day out, a car that you would very much like to see in the game, you choose. It may be a conversion from another game, a 3d found on the internet ... the easiest conversion is from rfactor to Gtr2, by sharing the physics and requiring few changes. Conversions from other games can be trickier, but once done once, the second is done with eyes closed. I say to start a project so that you can exhaust your doubts with the rest of the community, and believe me, there are many good people willing to help. This way you can learn all the steps. I advise using Gtr2 because it is more modern than Gtl (the base is the same, the cars are portable between them). I also suggest - you will hear this many times - that the best way to understand how things work is to look at the original cars. Then explore the original files of the game (text files, 3d, 3d material names, skins, etc.). Be welcome João, come make fantastic cars and new friends. Saudações. creations with fellow sim racers, which is great. create something of my own. I will keep you up to date. Good luck and have fun mate but one tip to avoid hours of frustration. MAKE BACKUPS! If you're modding stuff have a 'Just in case...' folder on your desktop so if you mess up or get lost you can delete your mistake and drop the original back in. and just to add, save often just in case you accidently close something and you can't get it back after many hours of work. save a lot and make backups, so I'm kinda used to that. and opening the model in blender, and so far it´s working. and to the car's physics, and see if it works. Why not export MAX as rF-MTS using the ISI-provided tools and convert them to GTL/GTR-MTS? I dont know. It works fine and i dont look further, but you make me curious. Please explain? I have released my Mod. We talk a little bit about the performance issues. What do you say about the result? Sorry, I couldn't really look into the final release, yet, had no time. ISI released plugins for 3DSM 8, 9, 2009 and 2010 for rFactor, so you can finish the model of you car, export as rF-MTS, and then use the program of your choice, like Z-Modeller 2 or 3DSimEd. No fooling around with file formats that mess up your mapping, maps, smoothing, orientation et al. necessary to unpack and pack the gtl files for each obj? just for viewing purposes ). I never get this Idea to put a .car-file in 3dSimed. Its great. For now i have no clue for what is it good. But i bet it is nessesary for something. If any guy works with this 3dSimed feature in any way, please share your wisdom with us. Under the Tag Display there is an "object filter." There you can show every object isolated or hide som objects from the display. In the Export Tab there is this feature. "Save Objects, add to GTL" i dont use it, but i think here can you export directly to a .gtl-file. Yes, you can. 3dsimed will save the meshes themselves and them prompt the .GTL container to save them in it. I don't use it either, I prefer to do things manually and repack when I'm done editing. it working in gtl showroom, but the model isnt quite centered. Does anyone know what position should the model be to appear centered? thanks freeracer. I'm going to give it a try tonight. Hopefully I'll get it centered without any problems. a vehicle and got it running in the game. So, next I guess I'll start working on a new vehicle. Which one should I try to do? possibly for a next project. Hi Johnny! 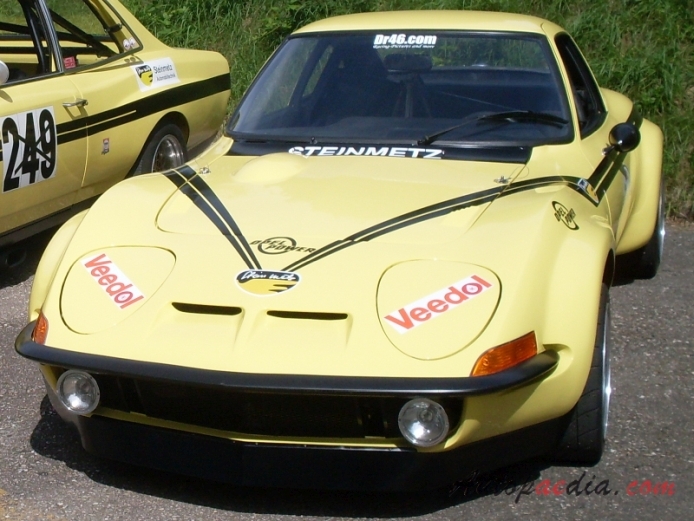 What do you think about the Opel Commodore, made by DonPanoz? It's a very nice car for you to work. 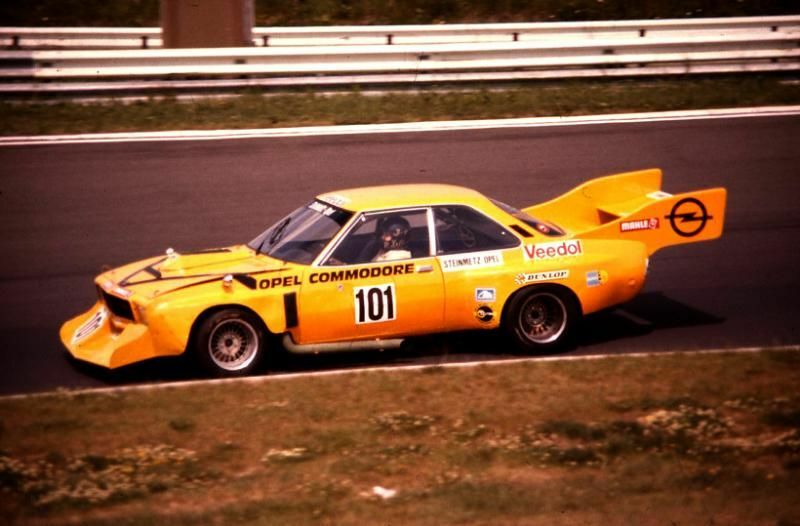 The Commodore Gr.5 would nice a nice car, if I had to choose a project, I'd take that one. hello guys. ney, I also have the donpanoz commodore, its pretty good. model A. But it may still be helpful to take some comparative information. of the car on track. to use or only if I have permission. the race car specs ( less weight, arb's, better tyres, better aero, etc ). I was also looking at a manta A turbo, which is think is cool. Maybe for a next project. to see if I can get them done.